Making it “big” in Hollywood doesn’t usually happen overnight. Prominent actors like Jim Carrey and Sarah Jessica Parker struggle for years before rising to the top. Actors must sometimes do things they don’t want or are embarrassed to do temporarily in order to reap the benefits of Hollywood stardom in the long run. But with determination, skill and an amazing personality, there is hope in becoming one of the Hollywood elite. Start young. If you are still in your pre-teens or teens, immediately join the drama club at your school. If your school doesn’t offer this activity, lobby with the school to get a club started up. Your local community or recreation center may also have drama workshops that are free or of little cost to join. Major in theater once in college, or apply to a university with a recognized performing arts or theater program. If you live in the Midwest, consider the University of Cincinnati’s College of Theater Performance. East Coast dwellers might consider enrolling the Department of Performing Arts at Emerson College in Boston or the Tisch School of the Arts at New York University. Others might consider applying to North Carolina School of the Arts or the University of Minnesota Guthrie Program. If you already live on the West Coast, consider USC, UCLA or California State University-Fullerton, all of which have well-known acting programs. Move to Los Angeles or New York City. 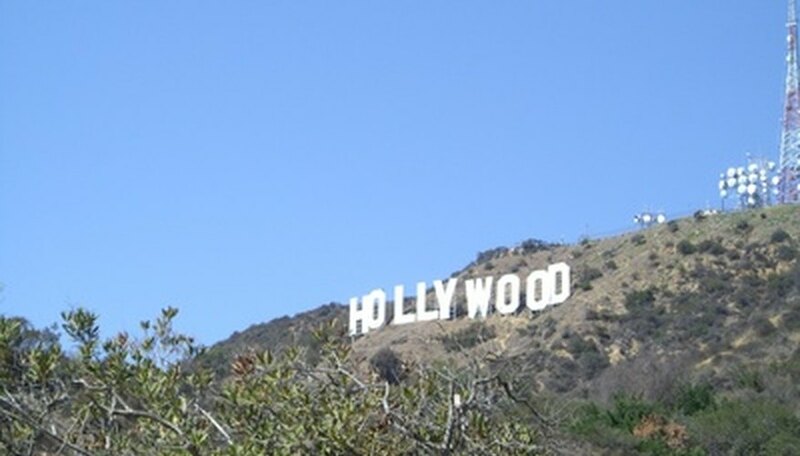 Both of these cities offer unlimited opportunities for an aspiring actor or actress, although LA may offer more opportunities for film. In these cities you will find a plethora of agents, acting classes, auditions and others like yourself with whom you can network. Prepare to work extremely hard. Once you have relocated, score yourself a serving position in a restaurant or nightclub (or find any other job that will allow you to work nights, while keeping your days free to take acting classes and attend auditions). Not only do jobs like these pay fairly well, but they will also allow you to meet and network with other aspiring actors like yourself. Put together a professional-looking portfolio. Your portfolio should include a variety of photos, including head shots (close-ups of your face) and full-body shots. You should hire a professional to prepare an acting rail (or audition tape) which will showcase clips from previous professional acting gigs. Secure yourself formal representation. An agent will help guide you through the beginnings of your career and attempt to find you movie auditions. You can locate an agent by word of mouth or by doing an Internet search. Accept every opportunity that comes your way (with the exception of doing anything that could exploit yourself and or cause harm to your career). Before Courteney Cox scored her role on the sitcom "Friends," she was the starring girl in a Tampax tampon commercial. Remember that being flexible will broaden the opportunities that become available to you. Whether it’s a small part in a cheesy horror flick or the starring role in a cat food commercial, every job you accept will bring you closer to your ultimate goal of becoming a Hollywood movie star. Don't be a snob. If someone offers you a role in a television pilot--take it. This opportunity could always lead to a career on the big screen. Be wary of scams. Never pay an agent to represent you. If he is truly interested in your talents, he will not ask you for money.